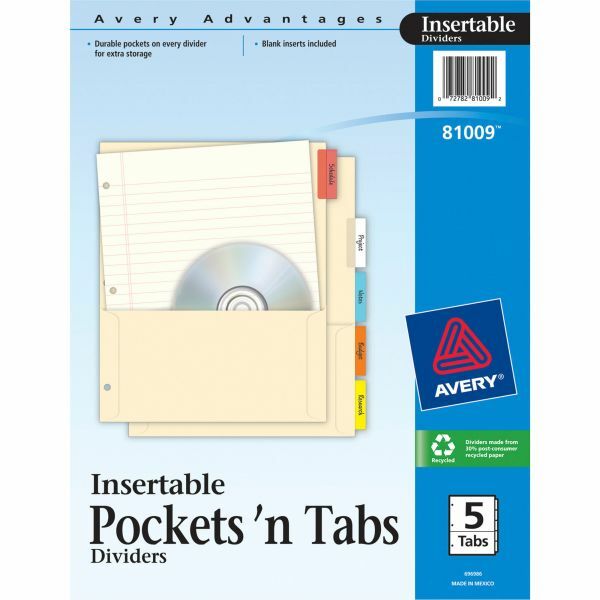 Avery Insertable Pockets 'n Tabs Index Dividers - Insertable five-tab dividers easily store papers, schedules, assignments and more. 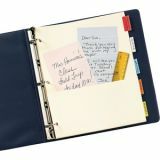 Use half-pocket on front of dividers for convenient storage of CDs or loose papers up to 8 1/2 x 11" size without punching or folding. 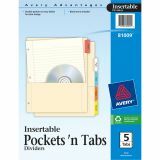 Reinforced, insertable tabs on each pocket divider."